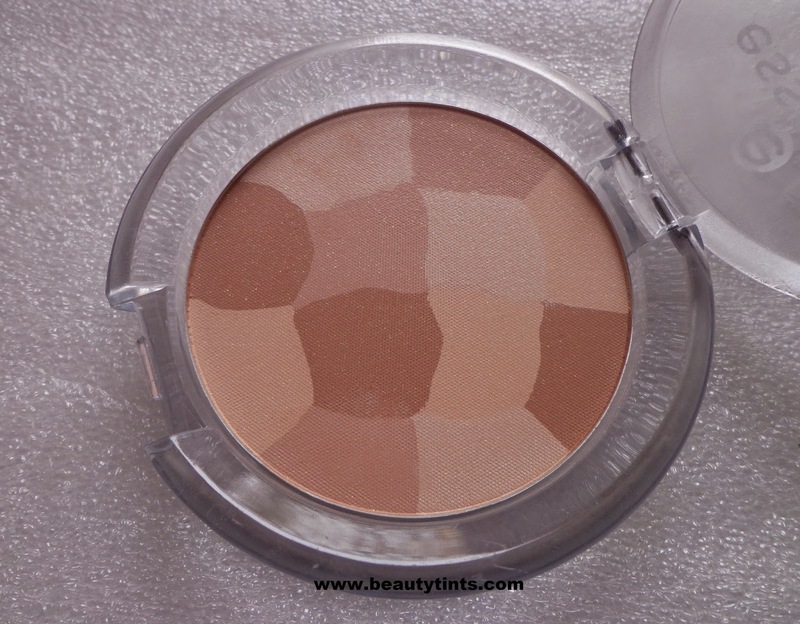 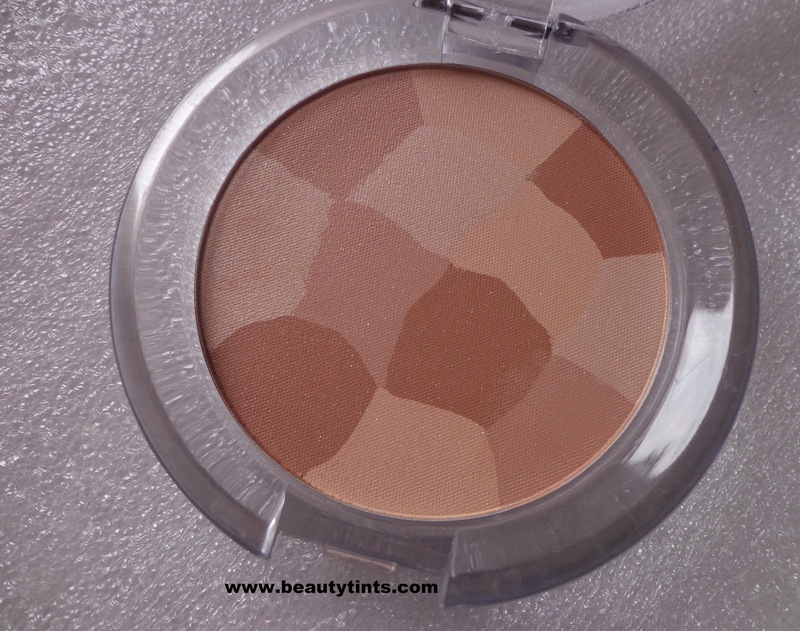 Sriz Beauty Blog: Essence Mosaic Compact Powder Review!!! 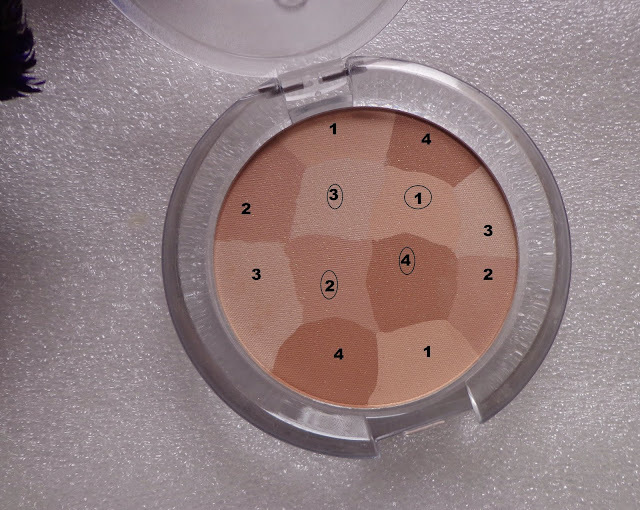 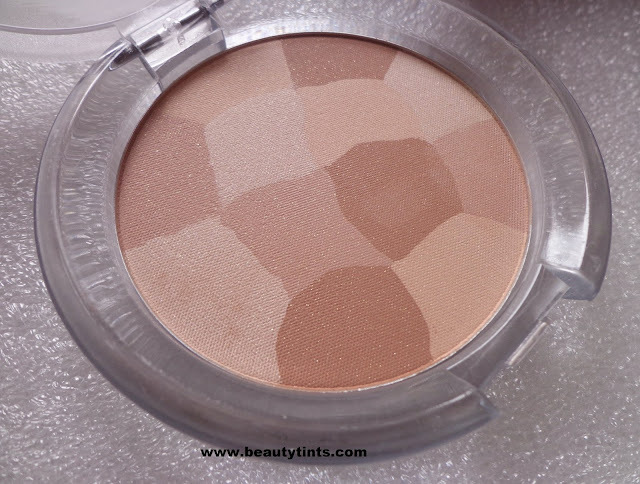 Today I am reviewing Essence Mosaic Compact Powder in shade 01 Sun Kissed Beauty,which is a palette with perfect combination of 4 translucent shades.We can use it to get either the rosy glow or a tanned look.It gives a light- medium coverage. 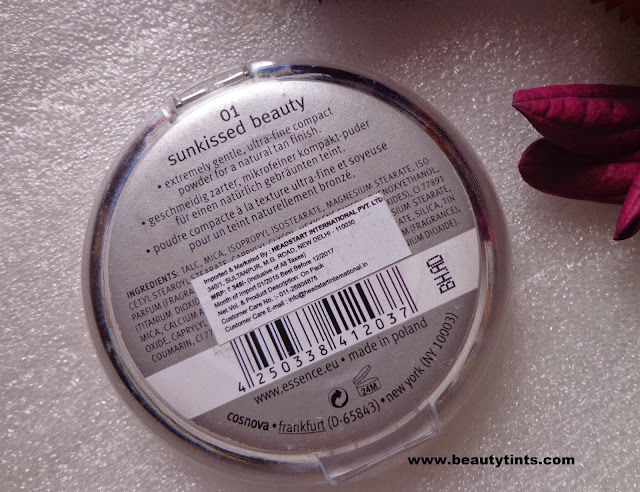 Packaging : It comes in a round packaging with a transparent cover. 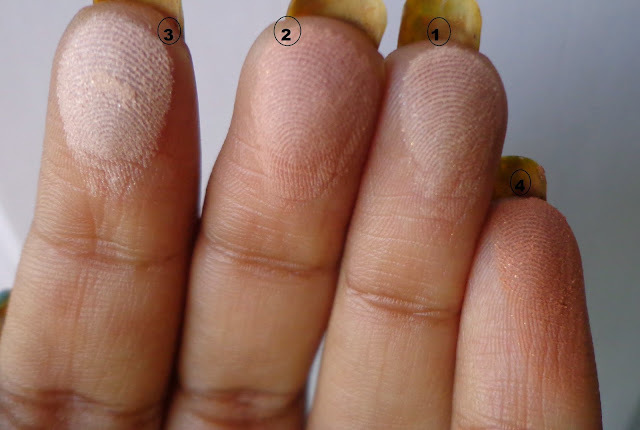 What the product Claims : Extremely gentle,ultra-fine compact powder for a natural tan finish. 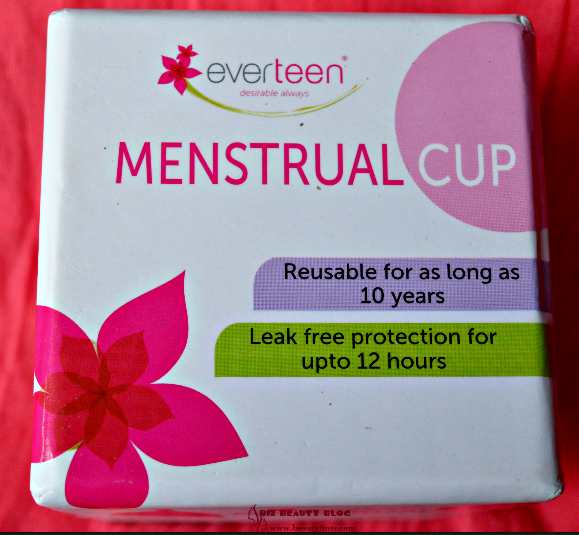 Availability : Available in few online stores .You can buy it from here and here. 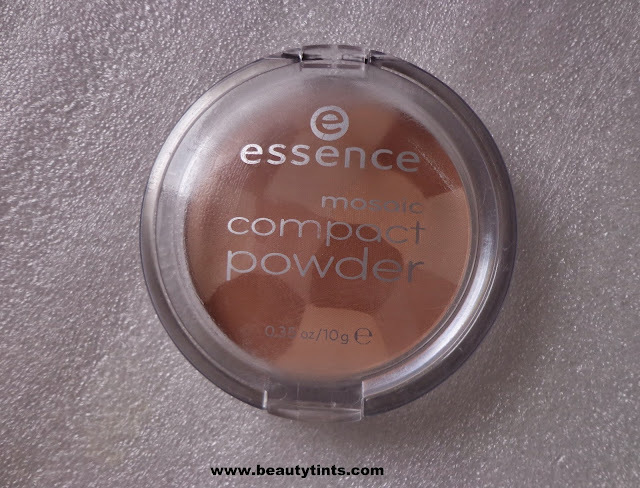 My Views On the Product : This Essence Mosaic Compact Powder in shade 01 Sun Kissed Beauty,contains 4 different translucent shades when blended together gives a very natural look to the face.It comes in a very light weight yet sturdy and classy packaging,which is easy to use and carry.It has a mild pleasant scent.It does not come with a brush or a mirror.It is a very fine and delicate powder with very fine shimmer particles,which is very light on skin and blends nicely.Though it is a compact, it can actually be doubled up like a bronzer and an high lighter as it has 4 different shades ranging from light to dark.I am using it to contour my cheek bones and highlight my nose.It does not fall out easily, so not much of product wastage.It does look very natural and blends into the skin well with out giving the sharp edges.It can also be used to even out the skin tone.It gives a matte finish even though it contains shimmers in it.It can be used for both day time and night time but it suits more for night time make up.The pigmentation is not so intense and so even the beginners like me can play with it.It is very affordable. 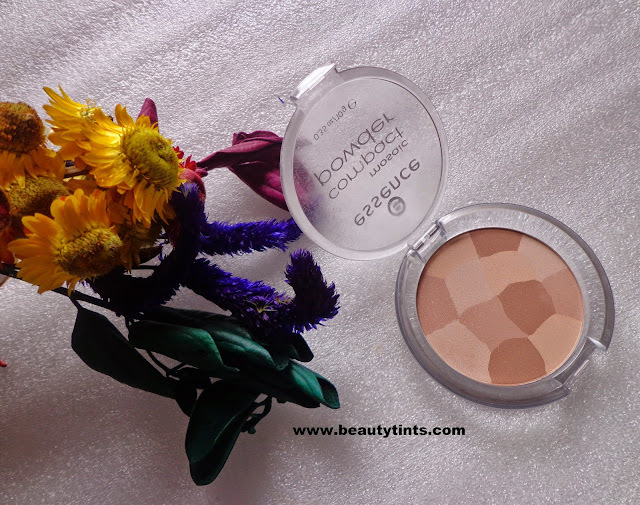 Final Conclusion about Essence Mosaic Compact Powder : This a 3 in 1 product which can be used as a normal compact powder or as an bronzer and can also be used as an highlighter.When all the shades are blended together ,it gives a natural even tone look to the face.Those who have difficulty in picking up the right shade for the bronzer and a highlighter can try this as it has different shades,which can be blended and used to get the right shade!